The market is filled with compact vehicles, leaving consumers with plenty of choices. Why choose the Hyundai Elantra? In today’s day and age, frequent restyling and a long list of standard features are required to maintain consumer interest. Although the current generation Elantra debuted in 2011, Hyundai has managed to keep it relevant. Specific design tactics and a focus on technology have kept them at the front of the pack. The value for money doesn’t hurt either. 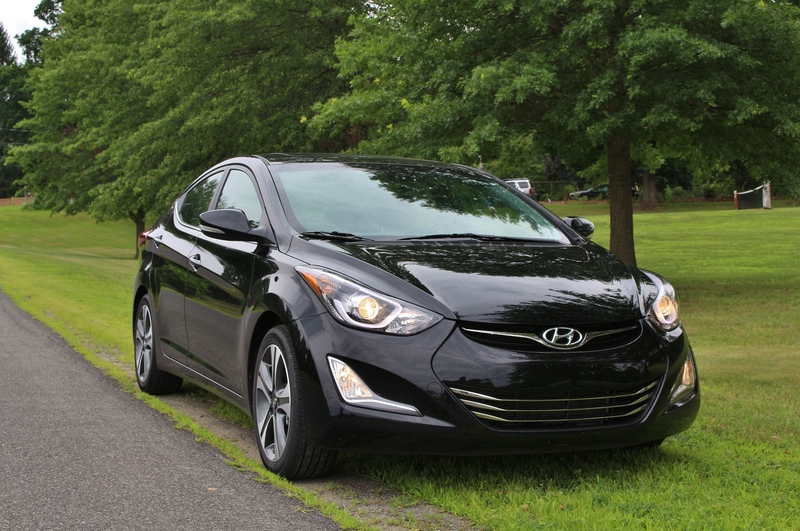 The Elantra is great looking, especially in the Sport line. It offers additional features like stylish 17-inch alloy wheels, aluminum pedals, and LED tail lamps. There’s even an optional rear lip spoiler to add a bit of extra sportiness. I enjoy the subtleties of the chrome beltline molding and exhaust tip; it may not be something you notice right away, but it certainly makes an impact and gives a more premium appearance. While the first-generation Fluidic Sculpture fell a bit awkwardly on some of Hyundai’s other platforms, the Elantra wears it well. Hyundai has designed the Elantra Sport to stand out from the crowd. Its smooth, flowing lines create a feeling of sophistication, something not found in its competitors. Its unique style has been coined. You cannot go wrong with Hyundai’s infotainment system. Its menus are easy to navigate. No one wants to spend a lot of time learning how to use a navigation system, and Hyundai’s designers understand that. The Tech Package’s 7” touchscreen is bright and responsive. Throughout the interior you’ll find some hard plastics, but they incorporated well with other textures and designs to continue that premium appearance. When I popped open the trunk for the first time, I was amazed by the amount of cargo space (14.8 cubic feet). Overall, the interior is roomy, too. The Elantra has more front leg room than the Toyota Corolla and Honda Civic. The only notable issue was a slight lack of headroom for those over six feet tall. The Elantra Sport comes equipped with a more powerful engine. The 2.0-liter engine provides 173hp and 154lb-ft of torque. Honestly, we expected it to be faster. However, it stands to be miles better than the standard 1.8-liter engine that makes due with only 145hp. To get the most of the 2.0-liter engine, put it into manual mode. By holding lower gears longer, the engine is more lively and responsive. Drive like that too long, however, and fuel economy to be underwhelming. 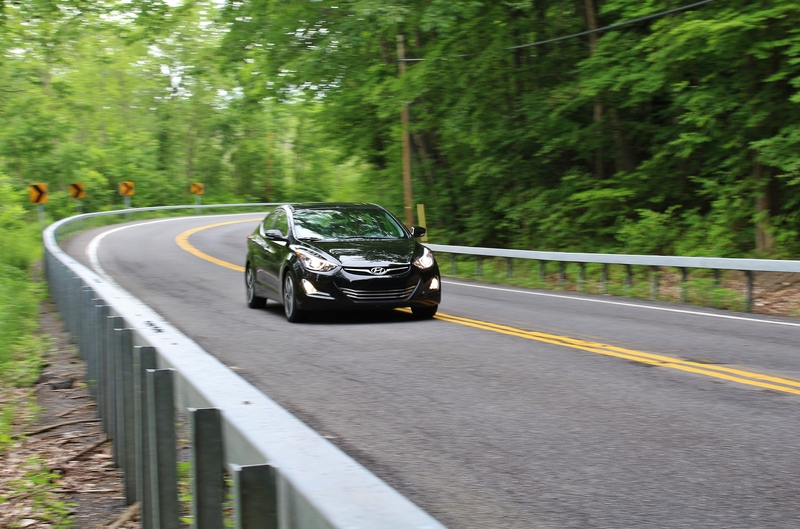 During our week with the Elantra, we averaged 28 mpg. It meets the estimates, but its competitors are a bit better than the 24 city and 34 highway EPA mileage estimates. Surprisingly, both four cylinder engines are paired with a 6-speed transmission; they still have yet to incorporate an 8-speed which would improve both fuel economy and shift smoothness. The Elantra Sport also includes re-tuned steering and a stiffer suspension for a more connected experience. It certainly isn’t the sharpest compact we’ve driven, but it’s also far from the most isolated. 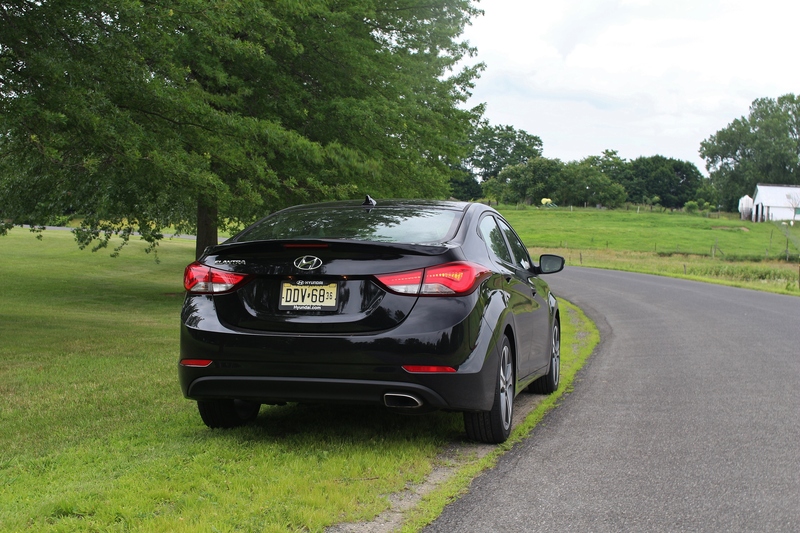 The Hyundai Elantra continues to be a winner on two fronts, technology and value. Somehow, Hyundai manages to build cars that look and feel more expensive than their window stickers suggest. We’re not sure there’s another brand that has achieved that same success. Not all compact sedans should be considered the same and the Elantra has differentiated itself since its launch. While the engine or drive might not be remarkable, the total package remains one of the best.